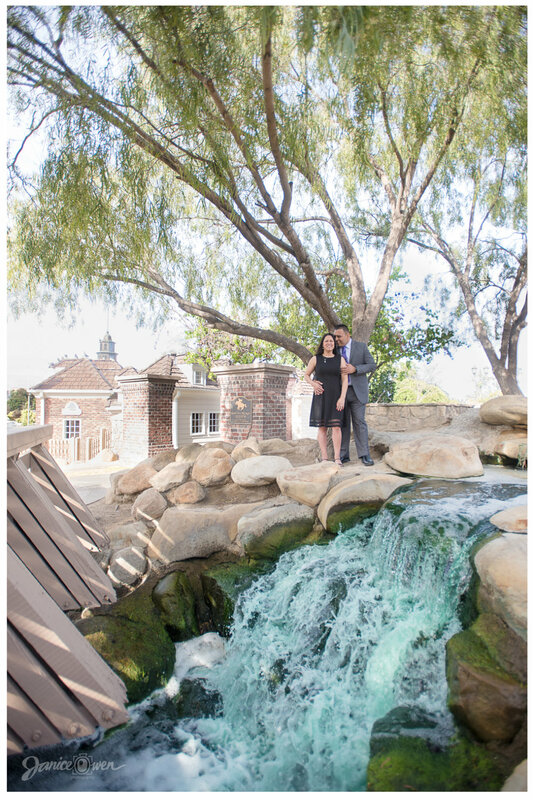 Earlier this Spring, my husband David and I had the pleasure to captured a beautiful engagement session of Christal and Julio at the gorgeous Heritage Park & Cerritos Sculpture Garden. We are very excited for their upcoming wedding in May 2018. Congratulations Christal & Julio!! We wish you the very best! Thank for allowing us to capture your special happy moments together and sharing your story to the world. Please enjoy some great photos through the Janice Owen Photography experience. Cheers! 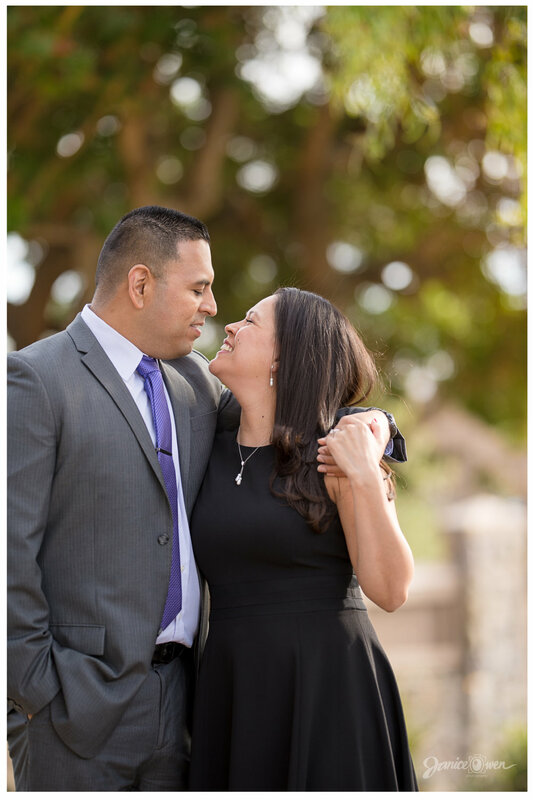 Here are Christal and Julio's love story in their own words. Enjoy! 1) Briefly, how did you two meet? ---- Julio and Christal met at the Yardhouse in Brea during Happy Hour in-which they stayed until closing as they hit it off. They quickly began dating. Julio proposed to Christal while on a trip to Costa Rica in December 2016 under a waterfall in hot springs. 2) Christal and Julio: What are your favorite hobbies? 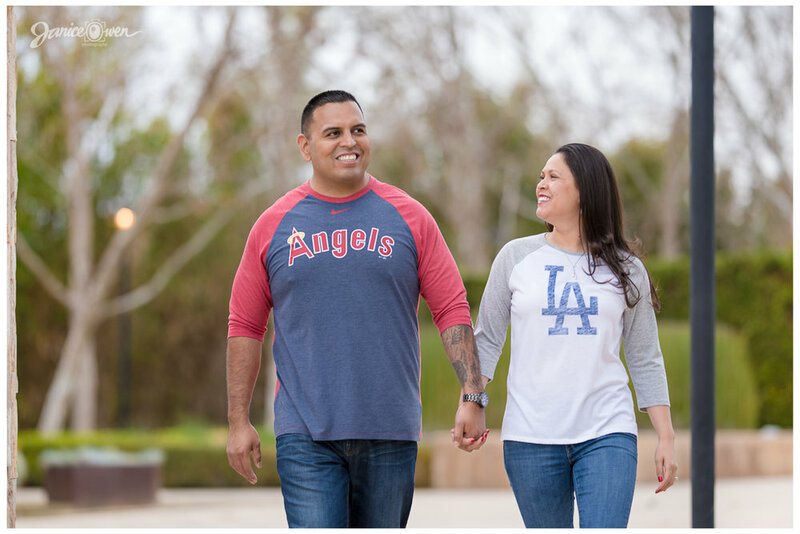 --- Julio and Christal both enjoy working out and going to watch sporting events; especially when the Dodgers and Angels are playing against each other (Christal is a Dodgers fan while Julio is an Angels fan). They both also like to go target shooting out in the desert as well as exploring the world and traveling to different countries. 3) What characteristics do you like about one another? --- Julio likes the way Christal allows him to be who he is and encourages his hobbies and passion. She is his rock that he can lean on when he is down. Christal likes that Julio is thoughtful and sincere. He always tries to cheer her up when she is feeling down. She also likes that Julio is always up for an adventure with her when it comes to spontaneous weekend getaways. 4) How do you envision for your future together as soon to be married couple? 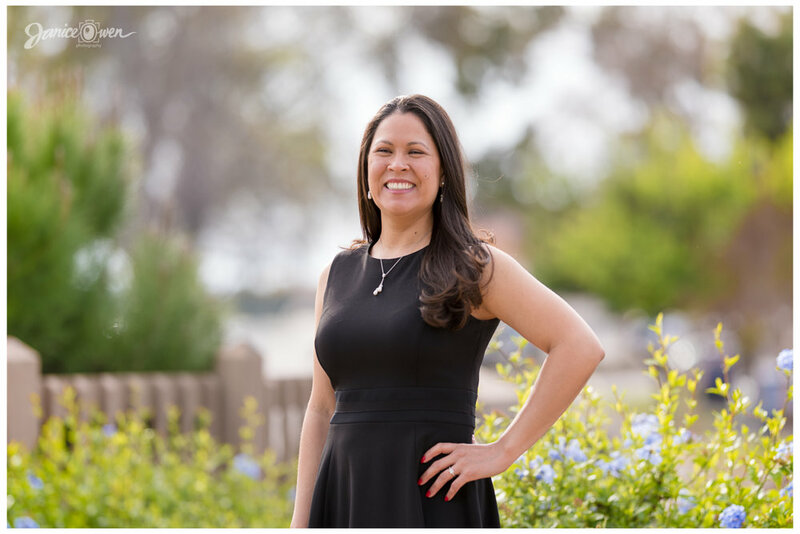 --- Julio and Christal envision building a home together with their fur babies (Gato, Flo & Zelda). They would like to continue to travel and eventually extend their family by having some children of their own to build more adventures.